Our President, Luis Stauffer, is a world traveler, connoisseur of food and wine, and overall luxury guru. In today's edition of our continued series, The Luxe Life With Louie, Louie shares some of his fondest memories from two favorite travel destinations: Paris, France, and the city known as the Paris of South America, Buenos Aires, Argentina. I love Paris. From the incredible museums to the endless availability of gourmet food, there's just so much to love here. It's the best place in the world to have a three hour lunch (and it's one of those rare places where you can do that with a child in tow, too), shop, and be inspired. Whenever we travel to Paris, we stay in Air Bnbs, take the metro and cabs, and try to live like the locals do. There's nothing quite like waking up, heading to the corner boulangerie, and eating a croissant with coffee for breakfast. In the afternoon, you can have a toast with foie gras (humanely made!) and a salad for a snack. One of my absolute favorite places to go in Paris is Le Relais de l'Entrecôte. To quote the restaurant's site, "The Relais de l’Entrecôte owes its reputation to its single course menu: a walnut salad followed by an extra tender sirloin steak with its famous secret sauce, and delicious home-made french fries." You know exactly what you're getting when you go to Le Relais de l'Entrecôte, and it's always incredibly good. Of course, when you're in France, you have to take a side trip to Provence. The lavender growing capital of the world, the air is lightly, florally scented. It's unlike anything you've ever experienced. The Notre Dame de Sénanque Abbey, home to a community of Cistercian monks, is a must-visit location. If you get there in the morning, you'll see the lavender field in the best light. It's spellbinding. If you're planning a visit to Provence, I recommend staying in a small village, buying local produce at their outdoor markets, going to the local boulangerie, and buying bottles of wine to bring home to your house. Stay at an Air Bnb or rental property and really settle into the luxuriously relaxed speed of Provence. We stayed in Vallabrix, which sits along a low ridge by the Alzon river, Northeast of Uzès and St. Quentin-la-Poterie. There's hardly anything there, which is perfect. Buenos Aires is known as the "Paris of South America," and for good reason. It's a cultural hub, full of art, music, quaint sidewalk cafes, fashion, and shopping. It's one of my all time favorite cities. When we last visited Buenos Aires, we stayed in an Air Bnb (again, we love to stay where the locals stay) in the Recoleta neighborhood. The Recoleta neighborhood is home to home to the National Fine Arts Museum or Museo Nacional de Bellas Artes, the National Library of Argentina, the Recoleta Cultural Center, and other exhibition venues. It's also home to several university schools and historical colleges. My favorite part of the Recoleta, though, is the fact that it's home to tango music and dance locales. It's the place to be. 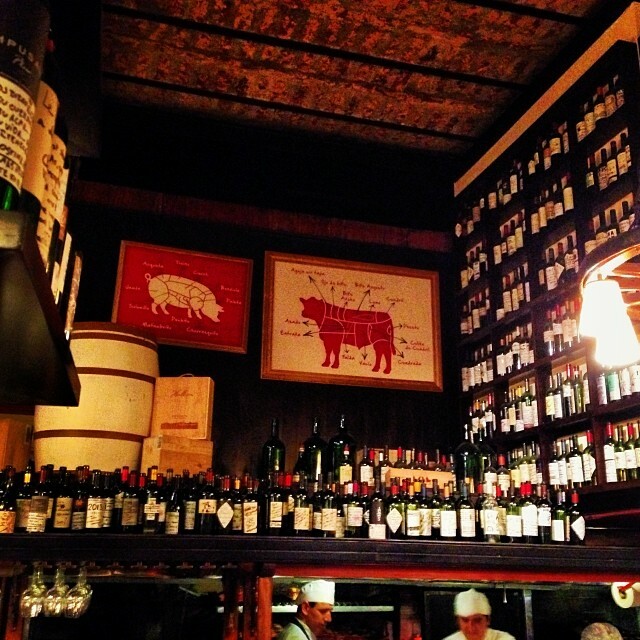 One of my favorite restaurants in Buenos Aires is Don Julio Parrilla. The last time we stayed in Buenos Aires, we probably went three or four times in one week. In fact, I loved it so much that I asked to purchase a set of knives from them. (They don't even sell their knives!) The food, the ambience... so good! If you're staying in Buenos Aires, I highly recommend flying to Luján de Cuyo, situated in the upper Mendoza Valley. We took a day trip into the Andes mountains and headed towards Chile. The sky was a blue I've never seen before. While staying in Mendoza, we explored the Argentinian wine country, which is known for its malbecs. A particular favorite of mine was the Bodega Catena Zapata winery. The winery is family owned and sits at 5,000 ft elevation in the Andean foothills. 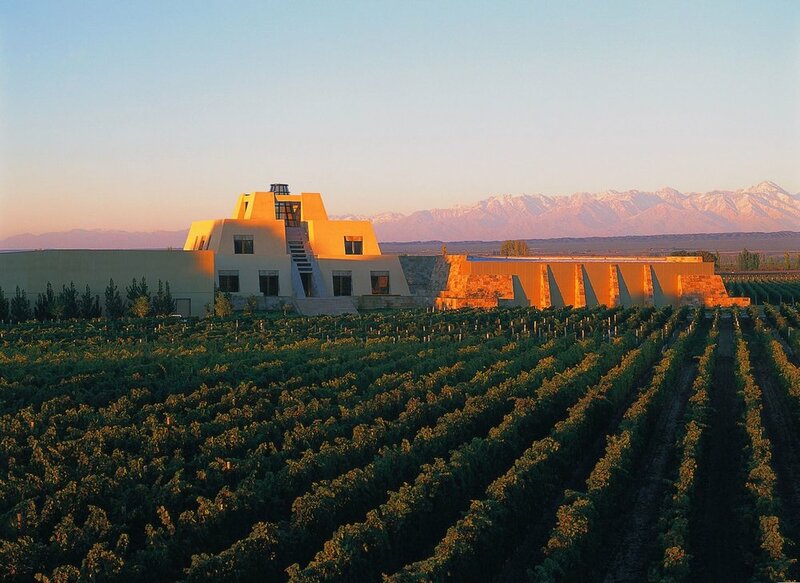 It's beautifully designed and the winery is known for resurrecting the Malbec varietal in the Mendoza valley. Thanks for reading this edition of The Luxe Life with Louie! Stay tuned for our next edition!